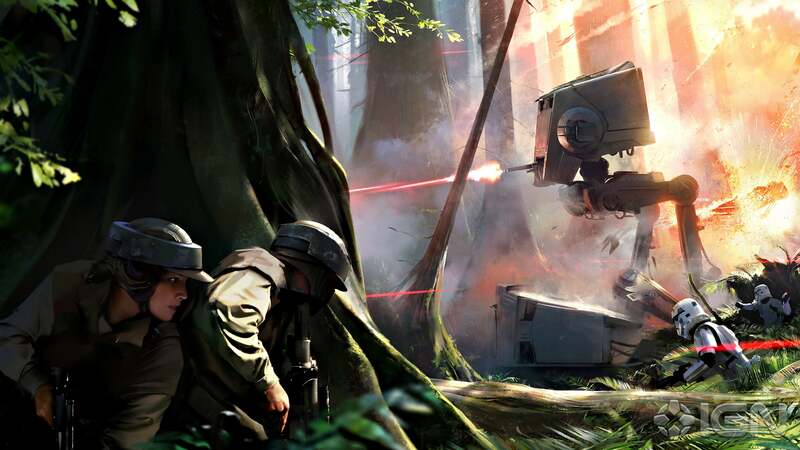 EA and DICE have been keeping all the Battlefront information close to their chest, but they have divulged to IGN some new concept art that confirms some locations in the game. New information regarding the gameplay in Star Wars: Battlefront has also been revealed. It’s interesting that they will be tailoring certain maps to specific modes, which may lead to a lot of favoritism in modes if we only see certain locales in specific game types. The thought of a game where one minute you are running from an AT-AT and the next you are shooting it out inside a rebel base is pretty cool. Fans will have to wait until later this spring when DICE is expected to pull back the curtain on Star Wars: Battlefront.